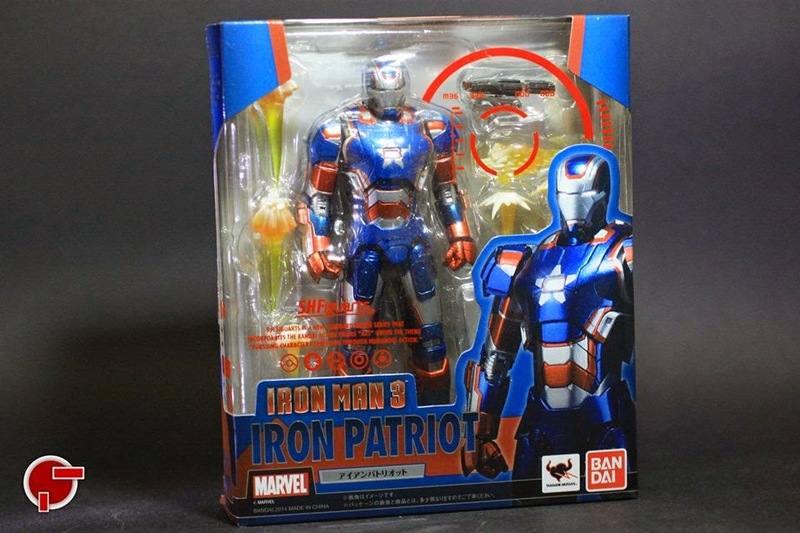 Together with the launch of Mark 42, Bandai released the S.H. 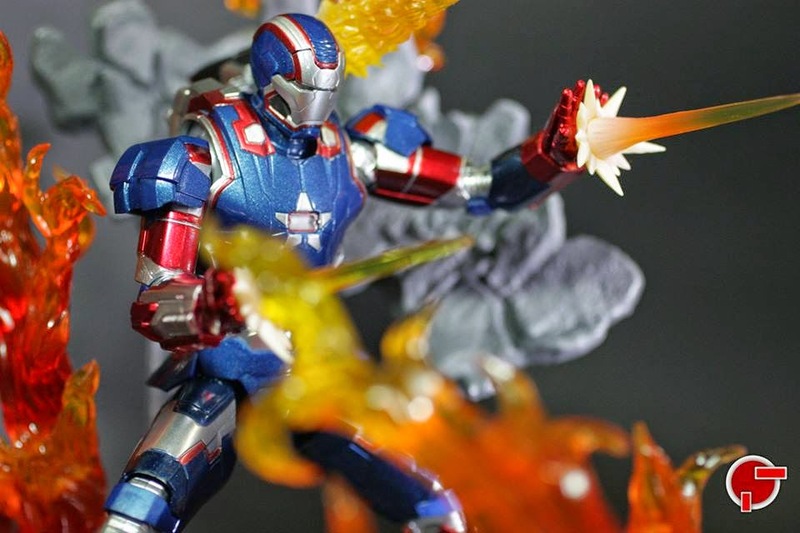 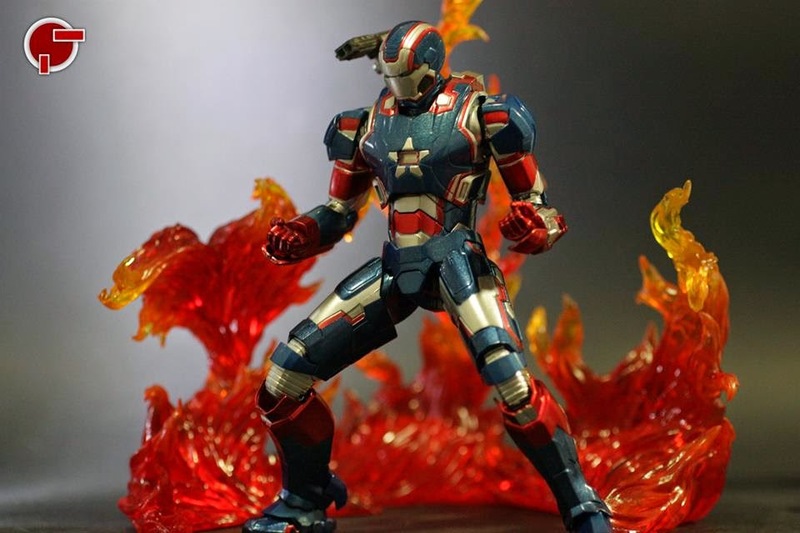 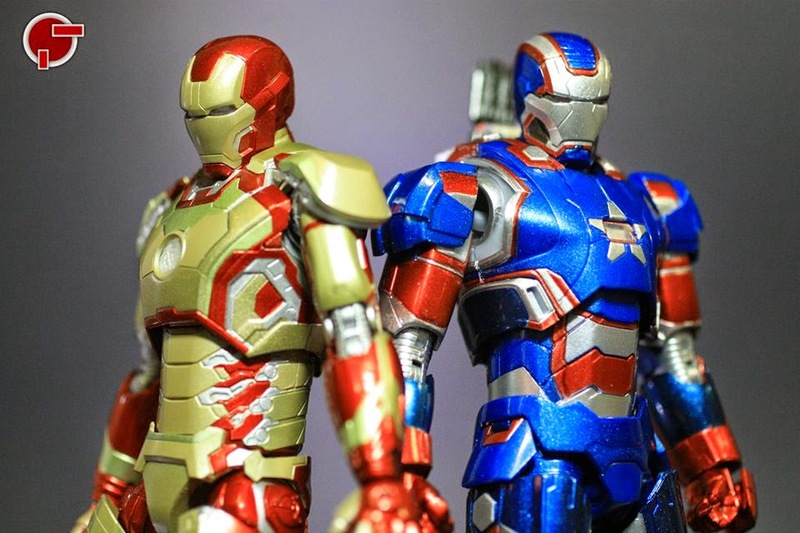 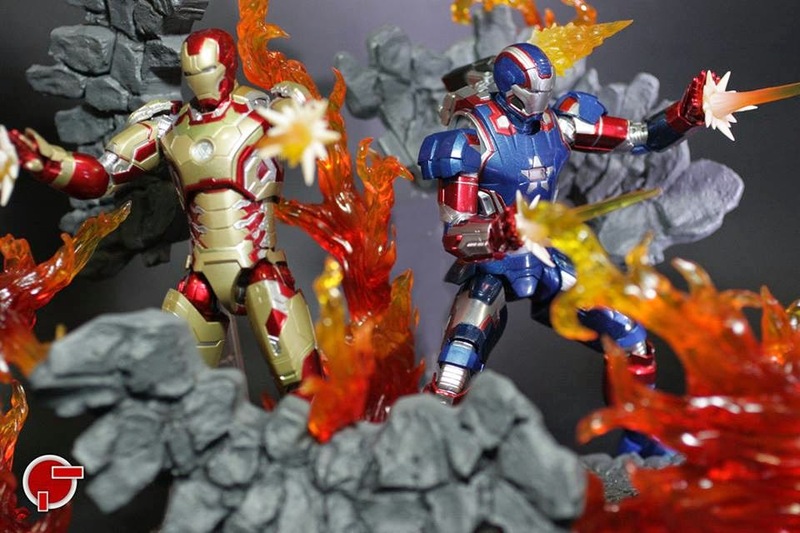 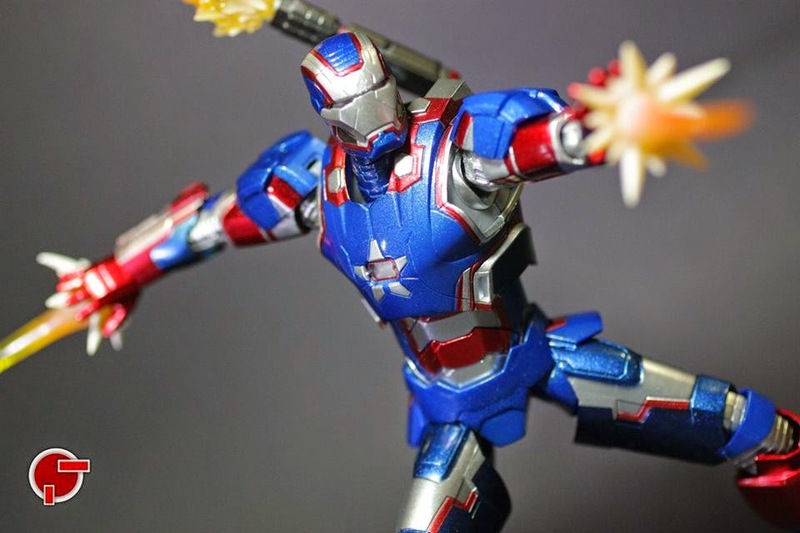 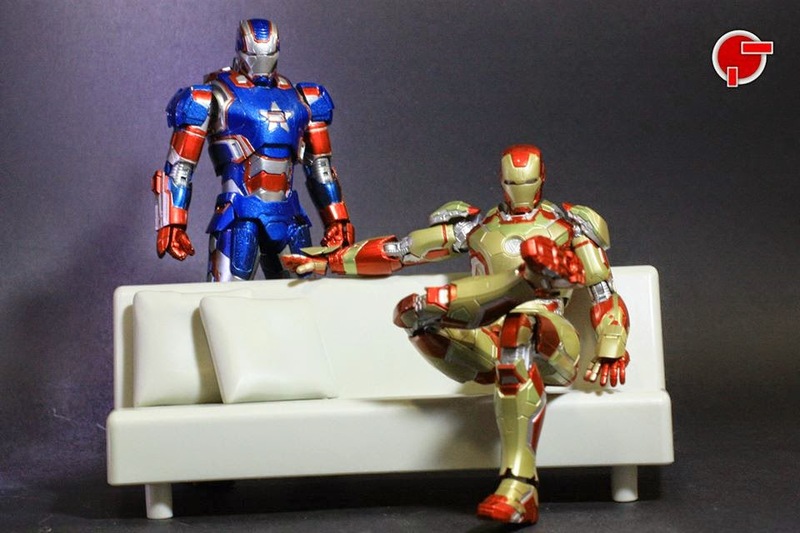 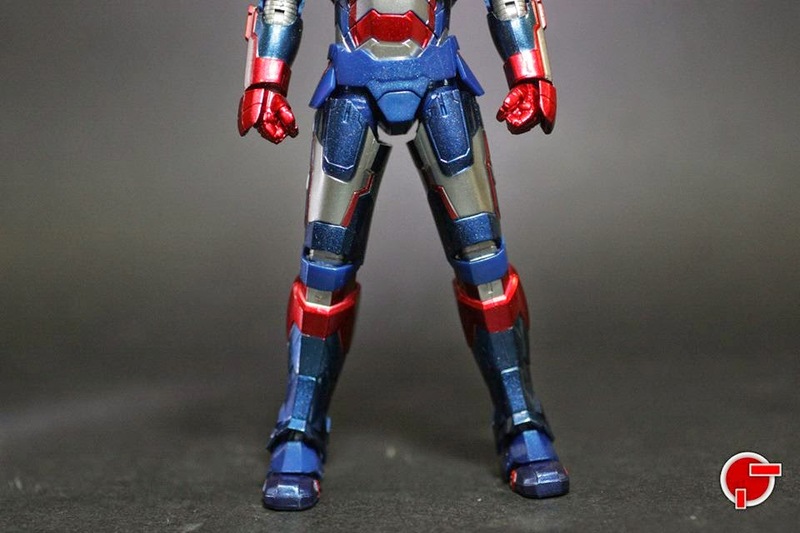 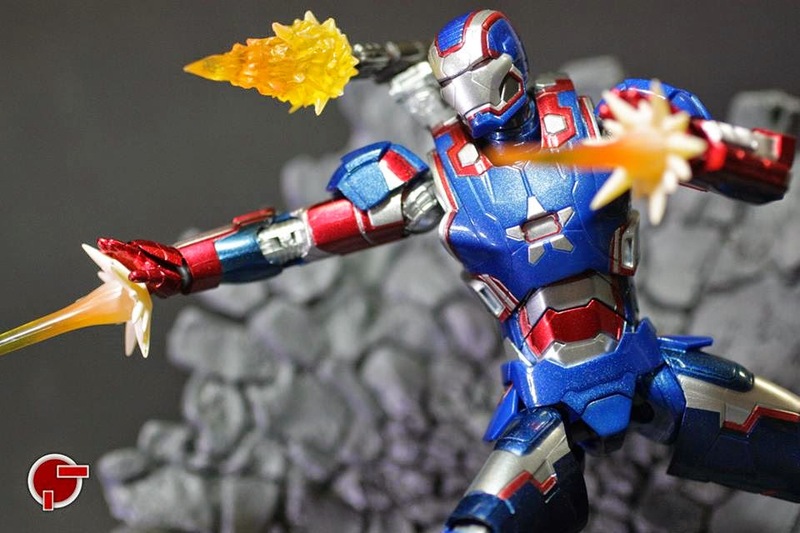 Figuarts Iron Patriot also from the movie Irom Man 3. 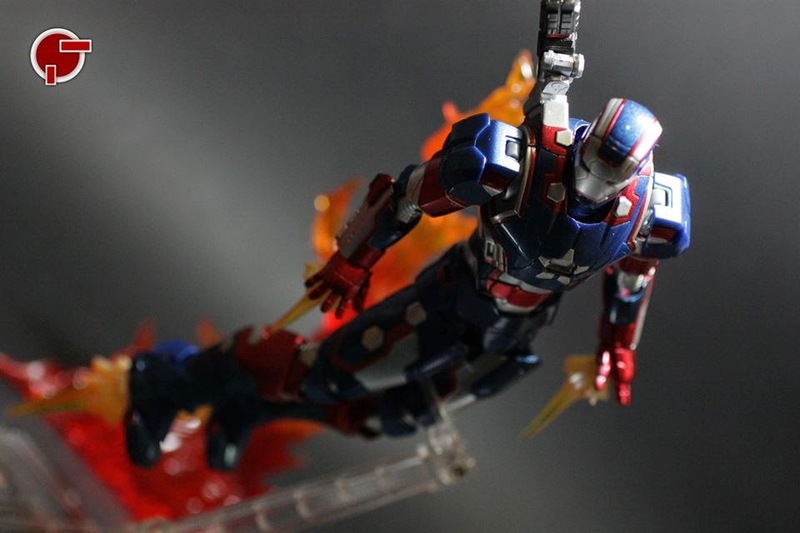 Donning the red white and blue motif, the frame is simply War Machine Mark 2. 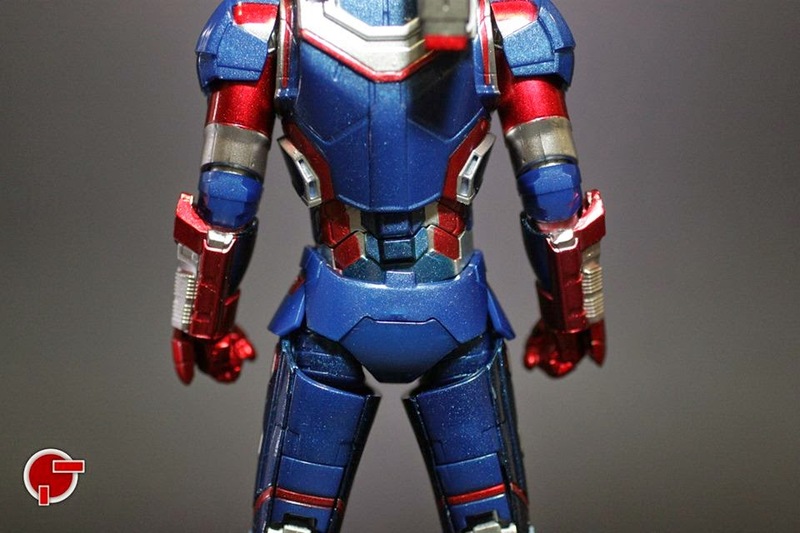 It comes with a slimmer turret that you can position on either of the 2 slots located on his back. 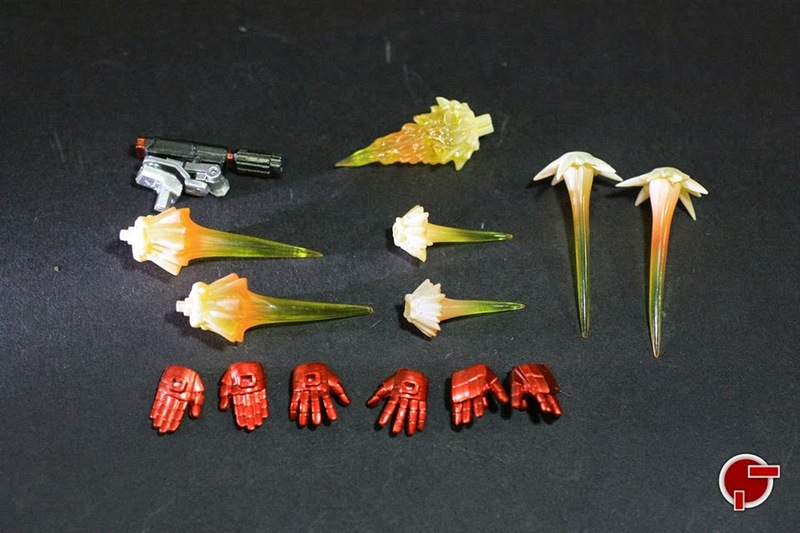 Aside from the shoulder cannon are 6 extra wrist replacements and 7 effects – 2 pairs for flight mode, 1 for the gun and 1 pair for repulsor blasts. 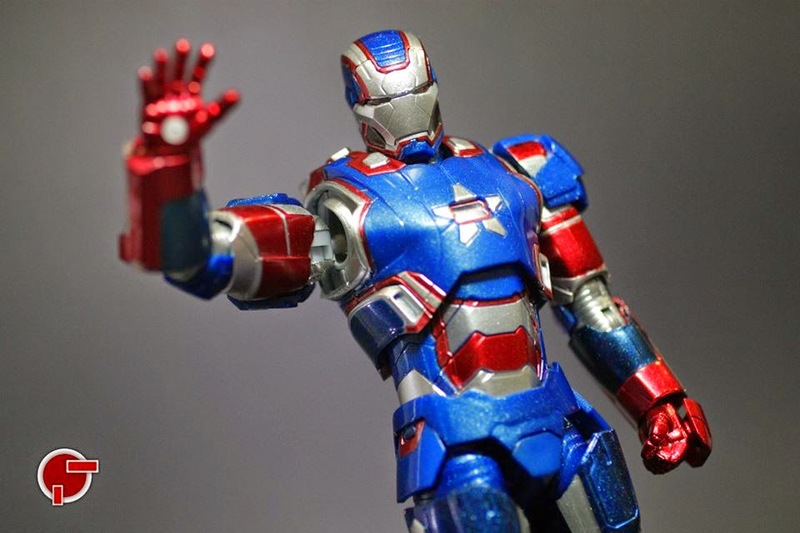 It is quite odd that a pair of wrists have the wrist guards already on while the rest needs to share with the default hands. 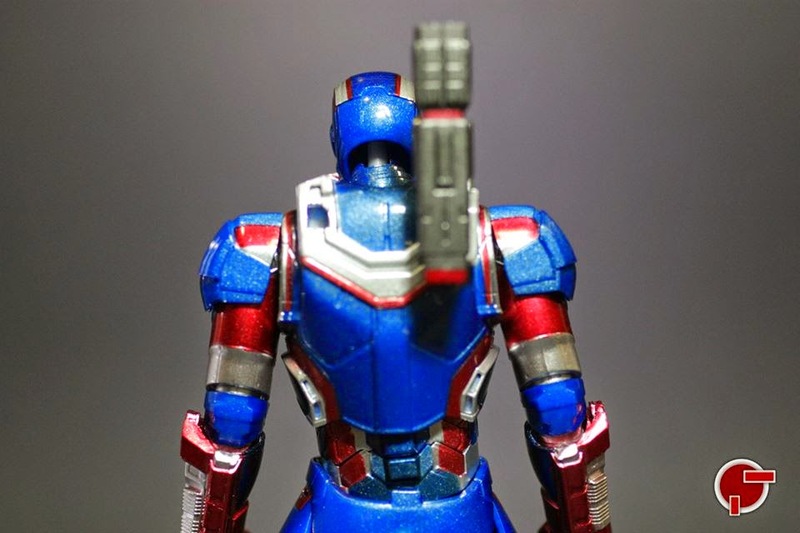 The gun has several joints to have it point in different directions. 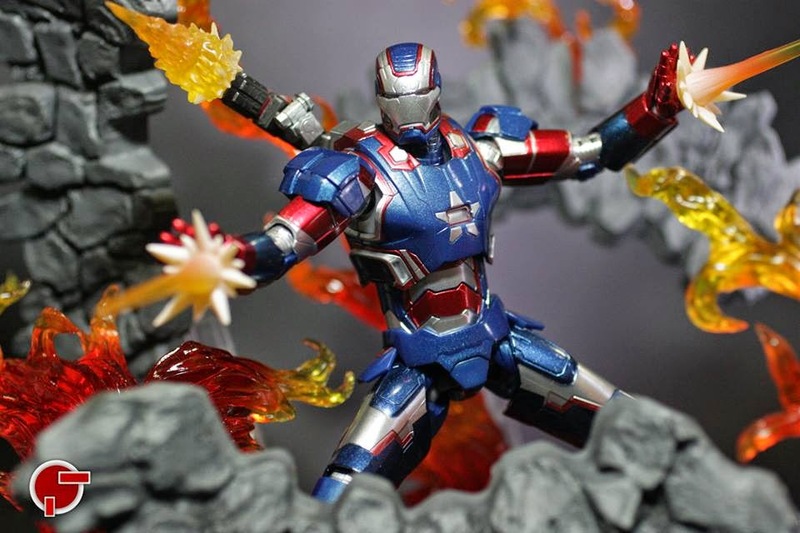 But this is not as dynamic as the first War Machine. 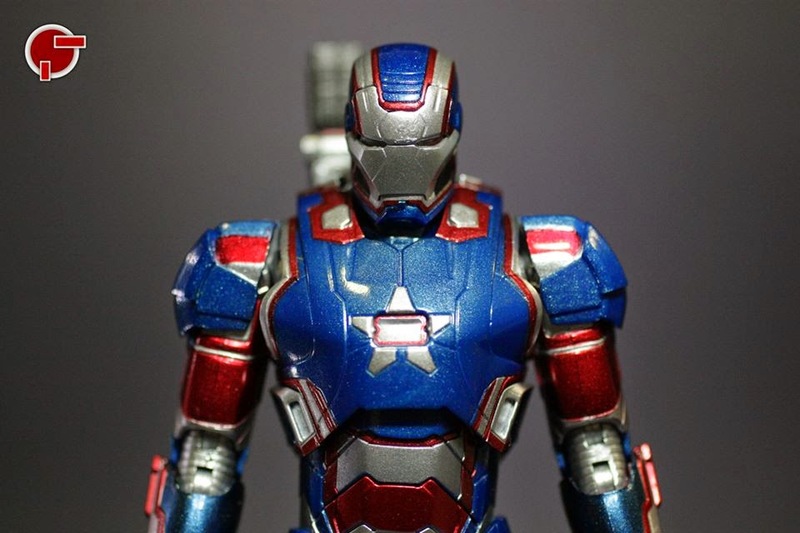 The color palette and tentuxe of Iron Patriot is more pleasing to me that Mark 42. 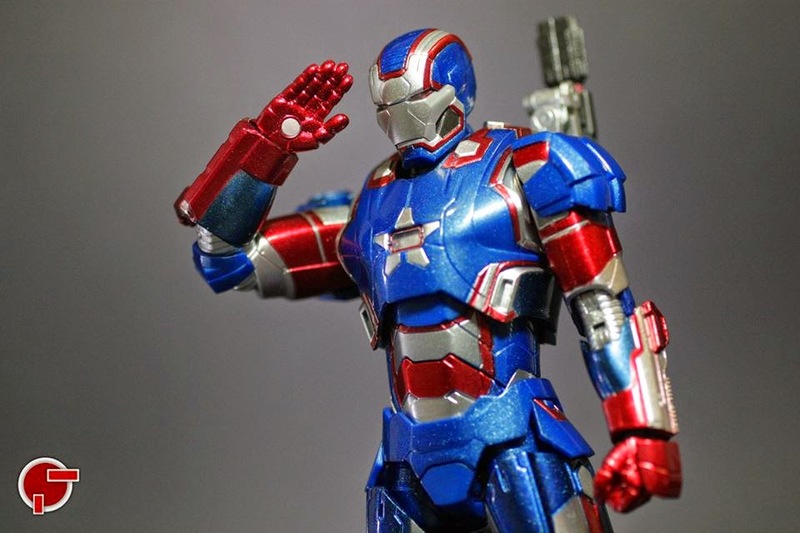 What I really miss are the 2 ab joints that was on the first War Machine. 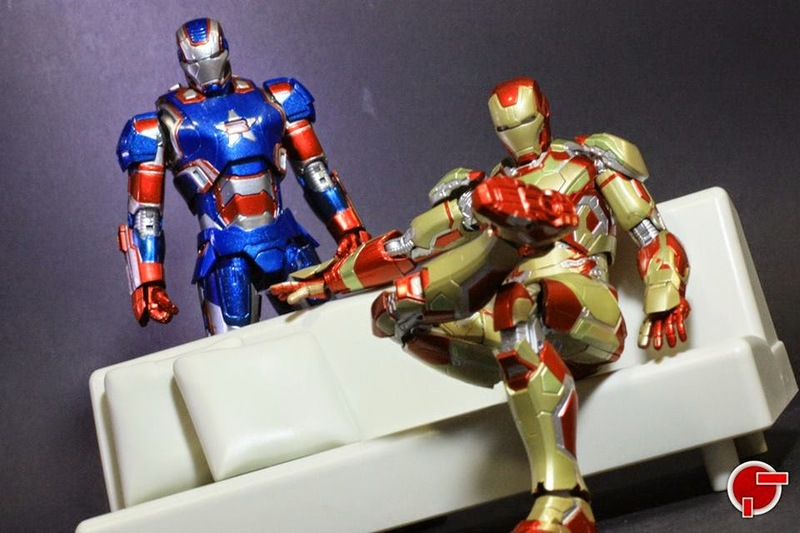 Even with that, this figure is slimmer and has more leg flexiblity. 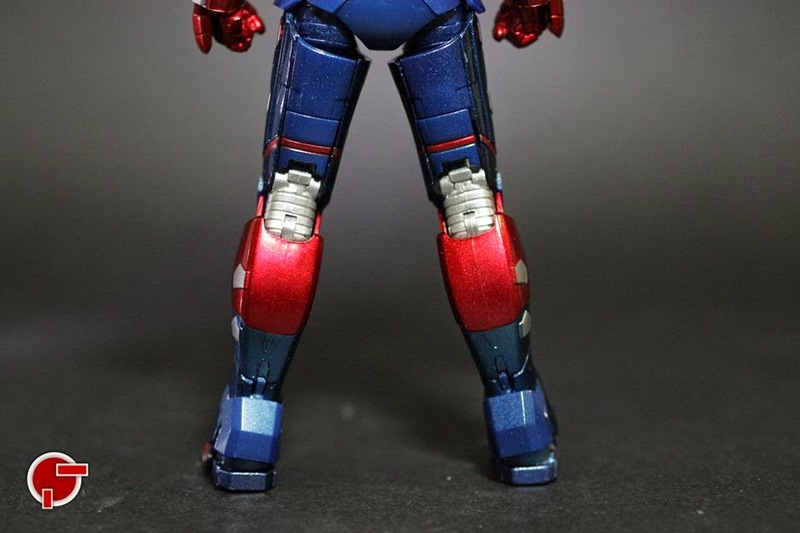 Moreover the die-cast parts extends from the feet to his shins. 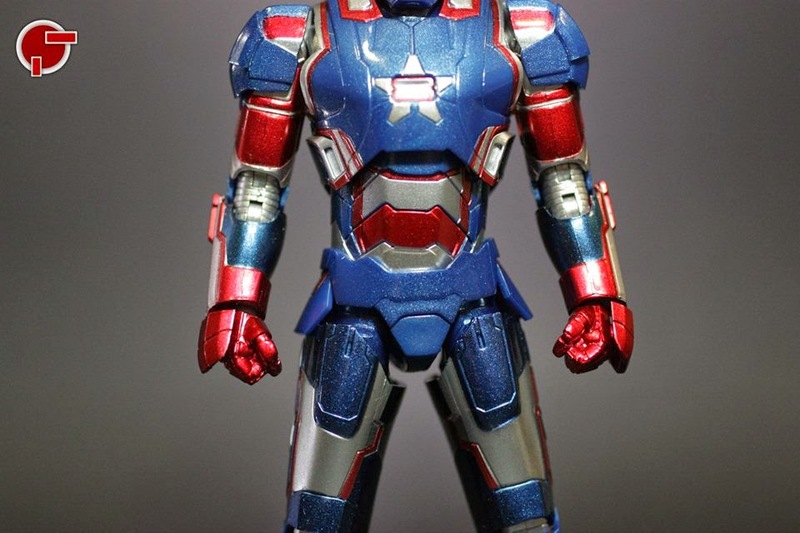 As for the replacement parts, these hold better than of Mark 42. 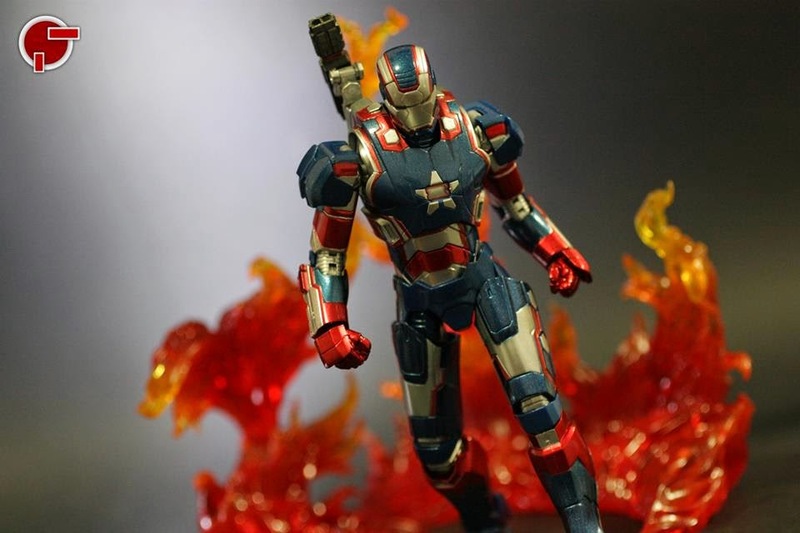 I do highly recommend getting this figure but it will take a chunk of your budget as this is as expensive as Mark 42.